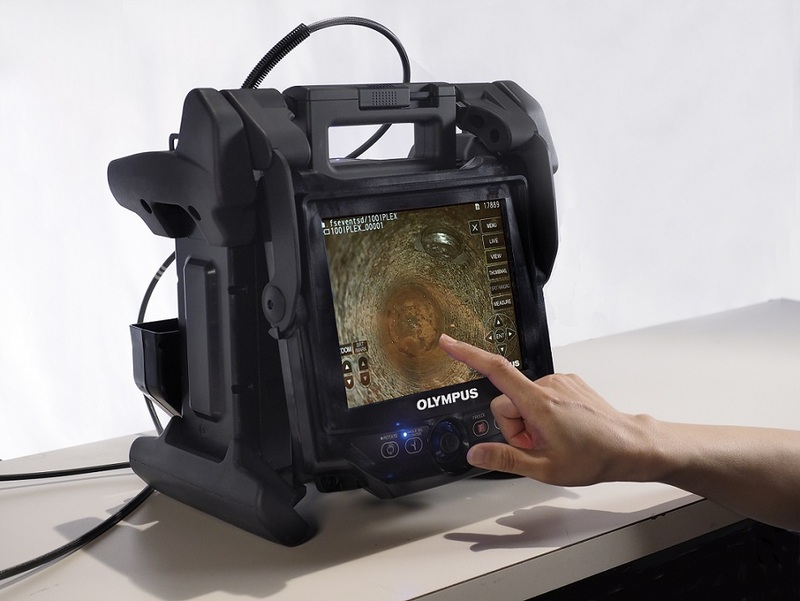 Industrial videoscope from Olympus provides engineers with the ability to illuminate and examine difficult-to-reach locations to identify and measure flaws. The IPLEX NX is Olympus’ new feature-rich flagship industrial videoscope that delivers new levels of excellence in image quality, manoeuvrability and user-friendliness to help locate flaws that were previously undetectable and streamline inspections in even the most difficult-to-reach areas. The IPLEX NX combines a high-pixel CCD chip, an ultra-bright laser diode light system and Olympus’ PulsarPic processor to reduce signal noise and deliver clear, bright images. With the IPLEX NX, operators can identify and measure flaws from 2X further away than is possible with conventional videoscopes. The advanced technology in the IPLEX NX facilitates accurate inspections that are fast and straightforward. The image quality and ultra-bright illumination make it easy to inspect a large area for small, subtle flaws. The videoscope can capture crisp images even in hard-to-access spaces, such as the interior of gas turbines, where external lighting cannot reach. Furthermore, by illuminating a wide area the IPLEX NX improves an inspector’s efficiency and productivity. The resilient TaperedFlex fine tungsten mesh insertion tube combines superb scope manoeuvrability with optimised rigidity and flexibility making it easy to navigate in tight spaces while maintaining outstanding abrasion resistance. The distal end of the insertion tube is highly flexible and capable of making complex bends to arrive at hard-to-reach areas. Olympus’ pioneering TrueFeel electric articulation is enhanced with reduced mechanical lag and greater sensitivity giving the NX ultra-responsive articulation and an increased range of articulation in four directions. The TrueFeel design maximises the use of buttons and a joystick so that the device is comfortable and easy to use, even for long periods of time. With powerful measurement tools, the IPLEX NX facilitates quantitative flaw evaluation and robust record keeping. Improved optics and image sensor combined with enhanced illumination enable users to measure large defects in areas such as turbine blade combustor walls. Multi-spot ranging is the industry’s only tip-to-target measurement tool. The improved multi-spot ranging function measures the distance from the scope tip to 5 points on the surface, providing real-time surface shape information for faster inspections. The IPLEX NX stereo measurement function has also been upgraded and features an inspection area 4X larger than other videoscopes in the IPLEX series. The ghost imaging feature provides reliable inspection record keeping and defect monitoring by overlaying images captured during previous inspections with a current inspection image so users can quickly view how flaws have changed over time. Intuitive software, available Wi-Fi functionality, and advanced image processing maximise the IPLEX NX’s efficiency. The device is controlled via a vivid 8.4-inch removable daylight view colour touchscreen that is clear and readable in any light. The screen is manoeuvrable for optimised ergonomics and viewing comfort; over a dozen commonly used functions can be changed with a single touch including brightness, zoom, still picture, video, picture review, and storage location. With optional Wi-Fi functionality, inspectors in the field can wirelessly stream images and data back to the office for real-time collaboration. In addition, the image processing software produces clear pictures with no deterioration via a dot-by-dot transfer from the image sensor directly to the monitor. This technology delivers true-to-life images with exceptional colour reproducibility. When inspections are complete, the IPLEX NX supports robust archiving and reporting. Operators can quickly recall and give titles to captured images directly from the device console. Olympus’ optional InHelp data management and reporting software saves images in folders organised by inspection area so that the right image is easily recalled. Screen prompts make it easy for inspectors to add comments and notes to specific images. In the office, recorded images can be displayed on a PC complete with comments and measurement information. The software can also generate customisable report templates that contain all the information necessary for inspection record keeping and archiving.